Remington Shine Revival Hair Dryer Review | LIPS n BERRIES! 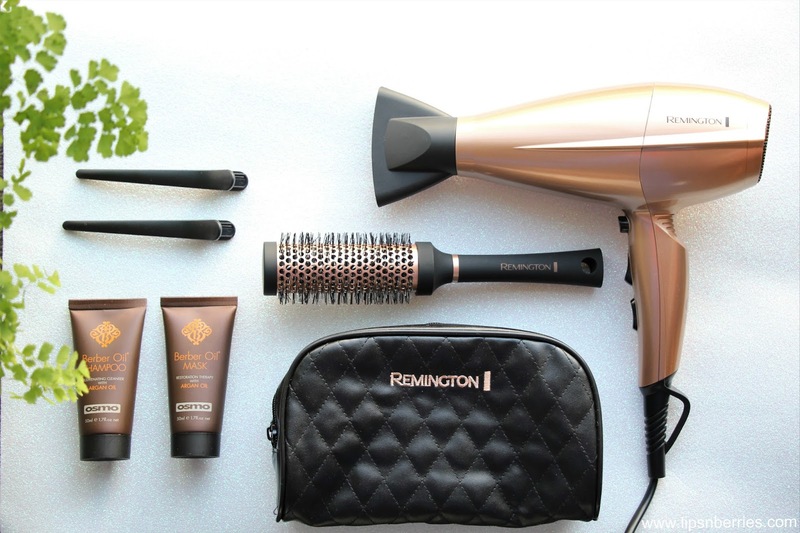 When it comes to hair tools, Remington has to be my favorite brand ever! Every gadget I've owned or gifted from Remington is still holding strong years later. Gifted my sister their pearl hair straightener 4 years ago, she still uses it. Gave my mum a travel hair dryer from them about 6 years ago and I still get to use it when I go back home. Personally I own an Epilator, a Facial Cleansing Brush, straightening brush, Curling Wand and another hair dryer from them and they are all still ace. It truly is my most trusted brand. So when I was sent this new hair dryer set from them, I was beyond ecstatic. Just to clarify, I already own another classic black Remington hair dryer, its 7 years old (from my student days!) and it still works. Like how? I'm kinda bored of it now (#FirstWorldProblems). Talk about getting bang for your buck! Well done Remington. The hair dryer has 3 heat and 2 speed settings & also a Cool Shot button. With such powerful AC motor, it actually takes half the time to dry my thick Indian hair. 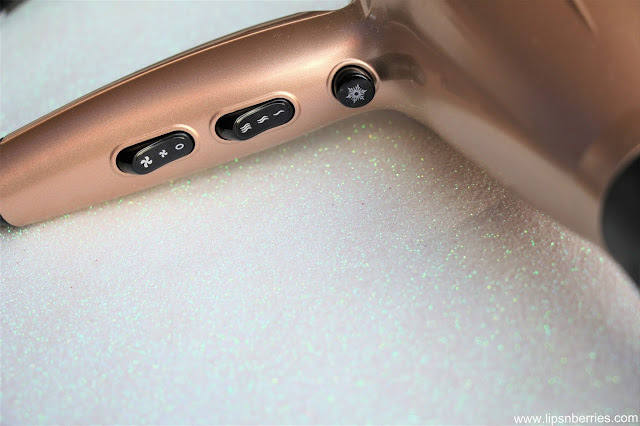 It also has conditioning ionic technology, meaning it releases 90% more ions, thus smoothing hair and preventing frizz. The Ceramic+Keratin+Argan based drying is also less damaging on hair, thus leaving shiny and strong hair. 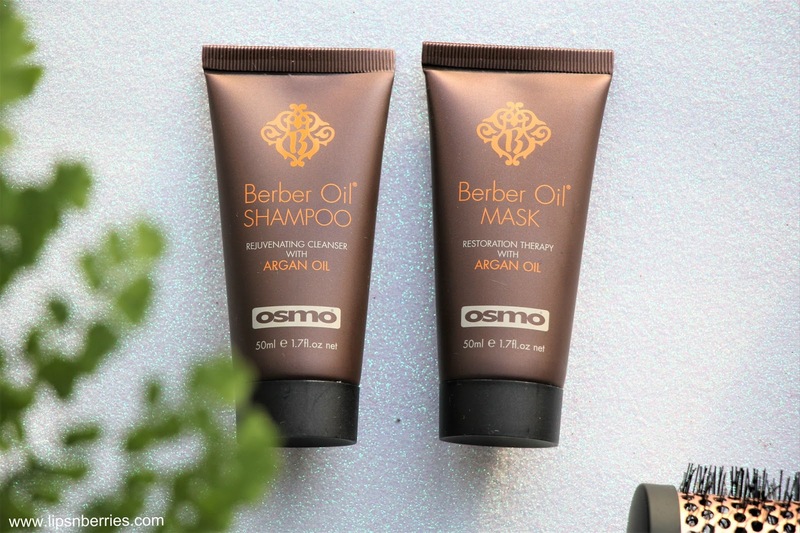 I tried out the Osmo Berber Oil Shampoo and Mask that come with this set. 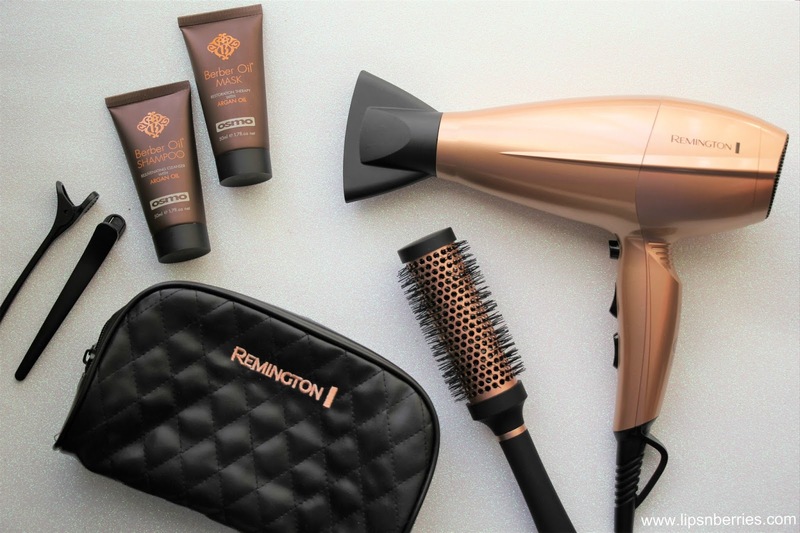 They are Argan Oil based products so they really complement the hair dryer. If you have dry hair, this shampoo and mask will do you good as it tames frizz and gives a healthy natural look to hair. The shampoo doesn't lather crazy. Restorative mask can be used as a conditioner if used for a minute or a deep conditioning mask if used for 4-5 minutes. The best accessory of this pack has to be the round brush. It is actually pretty amazing, specially with my thick unruly hair. I couldn't believe how easy this makes hair styling. I'm still experimenting with the brush to create that salon blowdry look. The beauty pouch that comes in the pack looks very classy as its quilted and black. Unfortunately, it doesn't fit the round brush or the dryer in it, but it's surely going to be handy for hair accessories, pins and even makeup products. Remington's shine revival hair pack makes a very cool gift, as it covers all your hair styling needs for a very reasonable price. 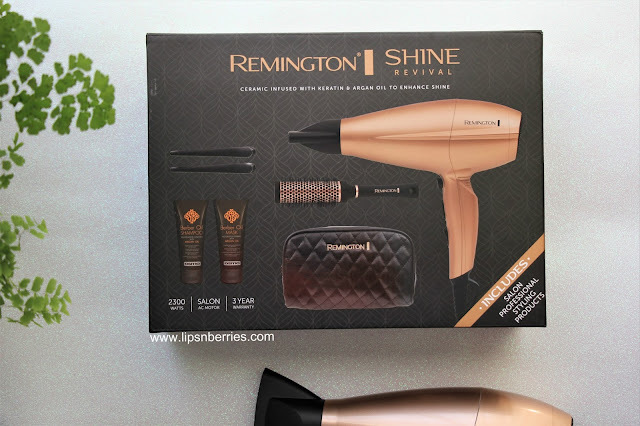 I highly recommend you guys to check out this hair dryer if you are in the market for one. Remington never disappoints me. Their products last me so long that I get bored of them. Oh! and it also comes with a 3 Year Warranty, just in case. *Disclaimer: Product sent by brand. My views are honest as always.